In my soon to be published novel, Mrs. Odboddy Undercover Courier, Agnes is asked to carry a package for Colonel Farthingworth to President Roosevelt. She rides a train from California to Washington D.C, convinced the package contains secret war documents. Along the way, she encounters perceived Nazi spies determined to steal her package. Of course, nonsense and misadventure prevails where ever Mrs. Odboddy is concerned and Undercover Courier is no exception. 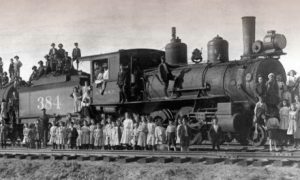 Thinking about a cross country train journey reminded me of the abandoned children riders of the Orphan Trains during the late 1800’s and early 1900s. Because of mass immigration, poverty, disease, and human tragedy, thousands of orphaned and abandoned children were ‘on the streets’ in New York City, selling matches and rags or stealing to survive. Older boys ran in packs and gangs, committing petty crimes or worse. The few orphanages were overrun with infants and small children. In 1849, a Presbyterian minister, Charles Loring Brace realized the children needed permanent homes, work and education. Because workers were needed in the Midwest, he determined that the orphans and good Christian farmers could be united. Between 1854 and 1929, a quarter million abandoned babies and ‘street rats’ (as the older children were called) were boarded on trains headed for new lives in the country. As good as this plan sounds, the consequences were debatable. 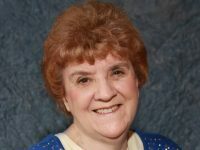 The plan was to have town committees, pastors and doctors oversee the applicants to assure a good match between the children and waiting adoptive families. In some cases this worked well, in others, little oversight or follow through was given, to the detriment of the children. The boys and girls would board a westbound train in groups of up to forty, accompanied by several adults. Circulars advertising ‘little laborers’ preceded them to the towns. The babies and pretty infants had the best chance of finding a good adoptive situation. Upon arrival to a town, the children were cleaned up and paraded into a local building, stood on a stage where they took turns giving their names, singing a little ditty or ‘saying a piece.’ The farmers looking for free labor then had an opportunity to prod the boys, examine their teeth and determine how suitable they were for the task needed, much like a slave auction. Boys under twelve were ‘to be treated as one of their own children in matters of schooling, clothing and training.’ Boys from twelve to fifteen were to be ‘sent to school a part of the year,’ and given a stipend when they turned twenty-one. Older boys often ran away if faced with abuse. In many cases, the children were far better off than if left in the big cities where their chance of survival was poor. Records show that Andrew Burke and John Brady, two Orphan Train boys, grew up to be the governors of North Dakota and Alaska, respectively. In other cases, the children taken to the mid-west farms suffered emotional and physical abuse. Many children were used strictly as slave farm labor. Other children found fine families that loved them, and educated them. Only the circumstances of the individual child could determine if the Orphan Train program was a success. Surely, left to the terrors of the inner city streets with no means of support could only have resulted in disaster or death for each child. The Orphan Trains run until 1929 when a foster care program was instituted in each state.